A young girl without family in eighteenth-century England was often abandoned to a hopeless street life and an early death. 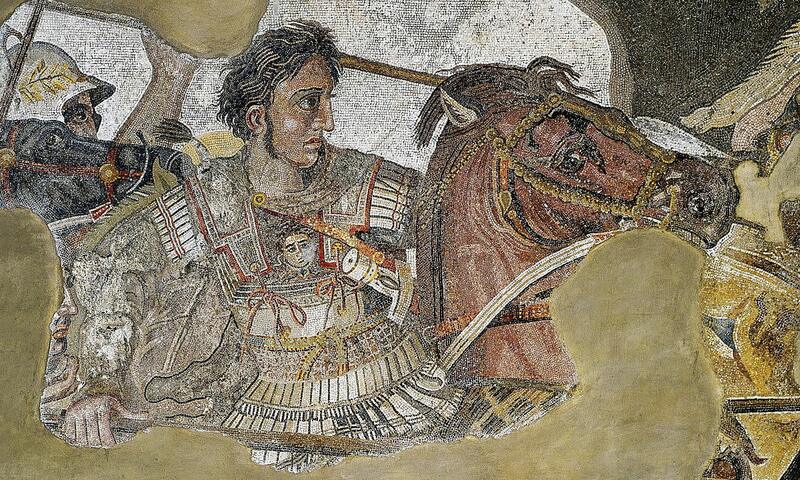 The only other feasible alternative was to go into service; that meant a lifetime of drudgery cleaning a rich family’s toilets and polishing their silverware. At the bottom of the service hierarchy, maids-of-all-work received an annual wage of £2 10s (about $150 in today’s terms) plus a room and food. It was a job that involved 16-hour days, seven days a week. Having had 16 children of her own, although only three survived infancy, Elizabeth Brownrigg knew a thing or two about delivering babies. She went into the midwifery trade and, by all accounts, was very good at it. Eventually, says storyoflondon.com, “She was appointed to look after the women in the poorhouse run by the parish of St. Dunstan in the West.” She was described as caring in helping women through the agony of labour, something that seems at odds with her later behaviour. Through her connections, Mrs. Brownrigg took several orphaned girls from institutions for the poor into her house to be trained in domestic service. Not incidentally, the girls didn't have to be paid the meagre wages that servants received at the time. Mrs. Browrigg's only costs were food and lodging and these she was very stingy about. In 1765, Mary Mitchell was sent to work in the Brownrigg home, and she was soon followed by Mary Jones. 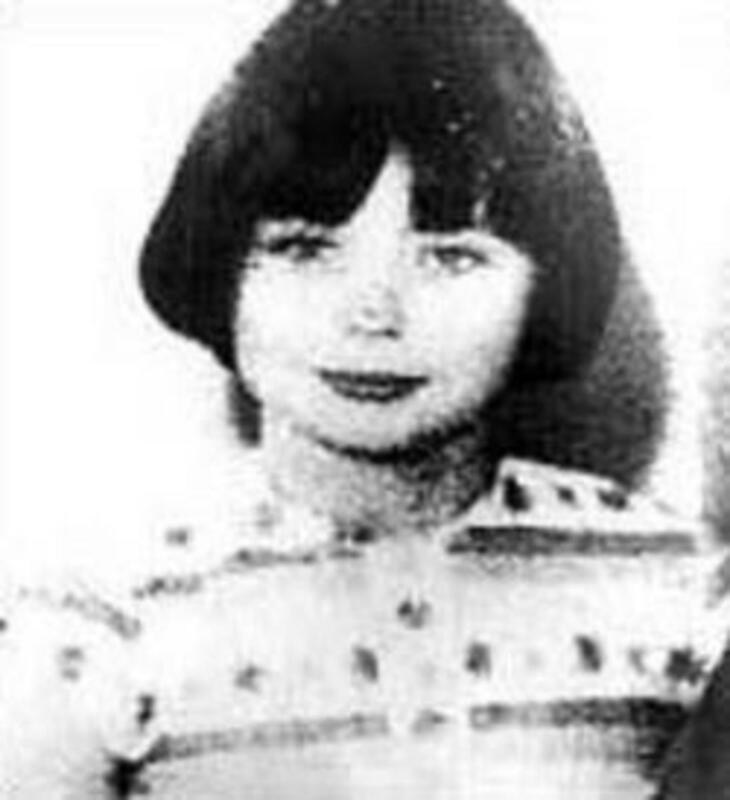 This girl was able to escape and make her way to the Foundling Hospital, where she had come from in the first place. Doctors were alarmed at the nature of her wounds but, beyond warning Mrs. Brownrigg’s husband James to put a stop to the mistreatment, did nothing. A third girl, 14-year-old Mary Clifford, was brought to the Brownrigg home for service early in 1766. She was to suffer worse than the two Mary’s before her. In addition to the frequent whippings, she was made to sleep in a frigid coal cellar and to subsist on bread and water. But this was not the end of Mary Clifford's misery. 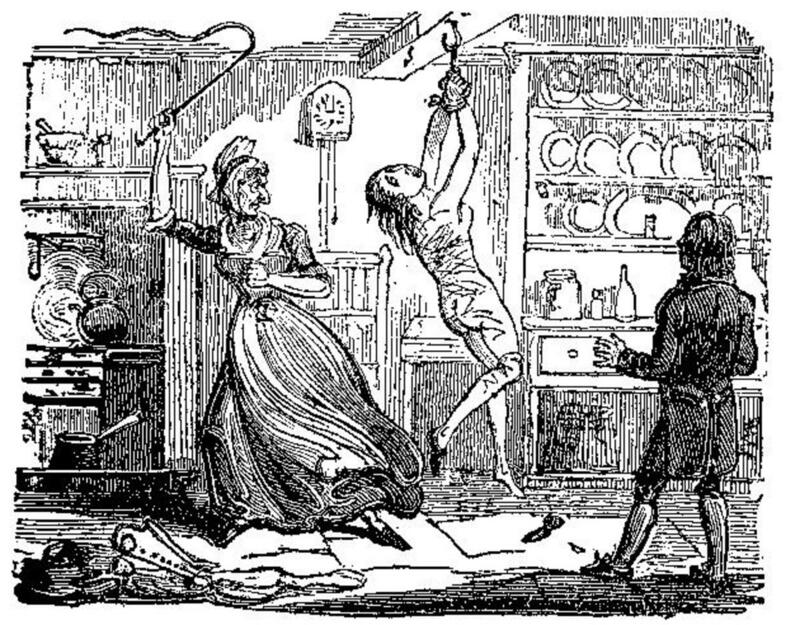 Brownrigg’s practice was to chain her victims to a roof beam in her house and then to lay about them with a whip. In July 1767, a relative of Mary Clifford inquired about the girl and was threatened with legal action by James Brownrigg. But, a neighbour called the relative in and said she had heard moaning coming from the house and feared the girls in it might be being brutalized. Finally, the authorities took notice of what was going on in the Brownrigg house. Mary Mitchell and Mary Clifford were removed. The Newgate Calendar described Clifford’s condition: “almost her whole body was ulcerated. Being taken to the workhouse, an apothecary was sent for, who pronounced her to be in danger.” She died a few days later. 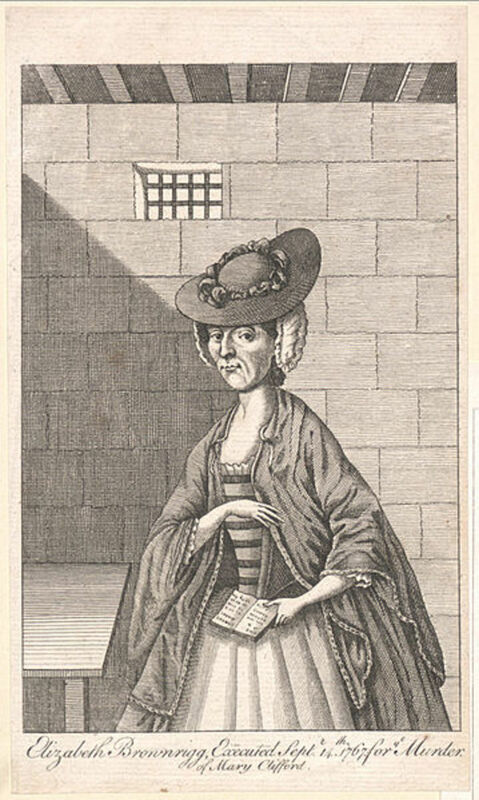 At her trial on September 7, 1767, Elizabeth Brownrigg testified to her treatment of Mary Clifford: “I did give her several lashes, but with no design of killing her …” She tried to explain away the masses of injuries as mostly the result of various accidents. James Brownrigg and son John got away with a six-month prison term for assault. 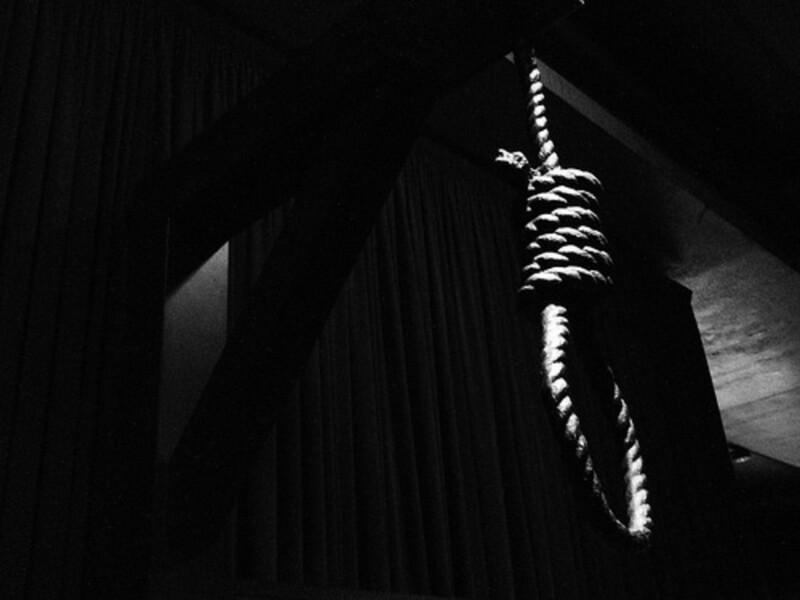 Elizabeth was sentenced on Friday, September 11 to be hanged the following Monday. Her crimes were so notorious and she was so detested by the public that huge numbers turned out for her execution; a greater crowd, it was said, than for any hanging. Along the way, and at the hanging, they jeered and cursed her. Writing for mensnewsdaily.com, Denise Noe describes the scene: “ ‘The devil will fetch her!’ some yelled. ‘I hope she burns in hell!’ others screamed. 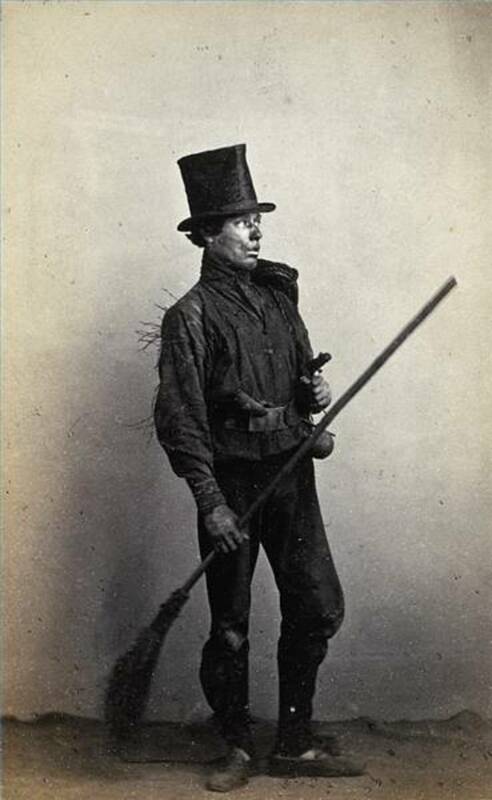 According to research carried out by capitalpunishmentuk.org “it was neither illegal nor unusual for employers to beat their servants and apprentices in the mid-18th century.” It was, however, illegal to beat them to death. Elizabeth Brownrigg was a particularly cruel mistress, but there were others like her. In 1681, Elizabeth Wigenton was hanged for giving a 13-year-old apprentice coat maker such a severe beating that she died. 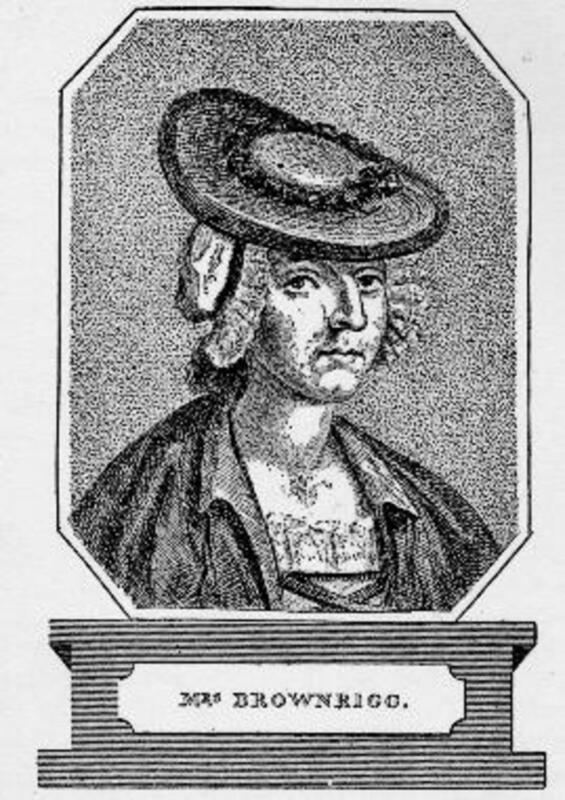 In 1740, servant Jane Butterworth was beaten to death, and several others were similarly mistreated. The journey from Newgate Prison to Tyburn was made by horse-drawn wagon. It was customary for convicts making this final trip to be allowed to stop at a pub along the way to fortify themselves against the ordeal ahead. Aided by courage from a bottle they were then put back on the wagon having taken the last drink they would ever have in their lives. 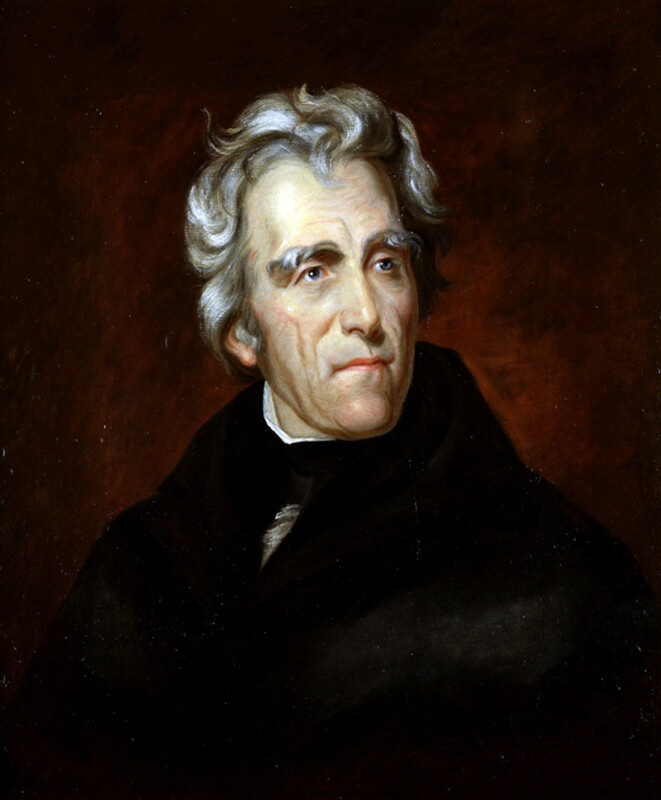 Hence, the phrase “On the wagon” meaning to abstain from drinking. There are other explanations for the origin of the phrase but this one fits best with the subject of this article. “Elizabeth Brownrigg.” The Newgate Calendar, undated. “Portrait of an Evil Woman: Torture-Killer Elizabeth Brownrigg,” Denise Noe, mensnewsdaily.com, February 5, 2008. 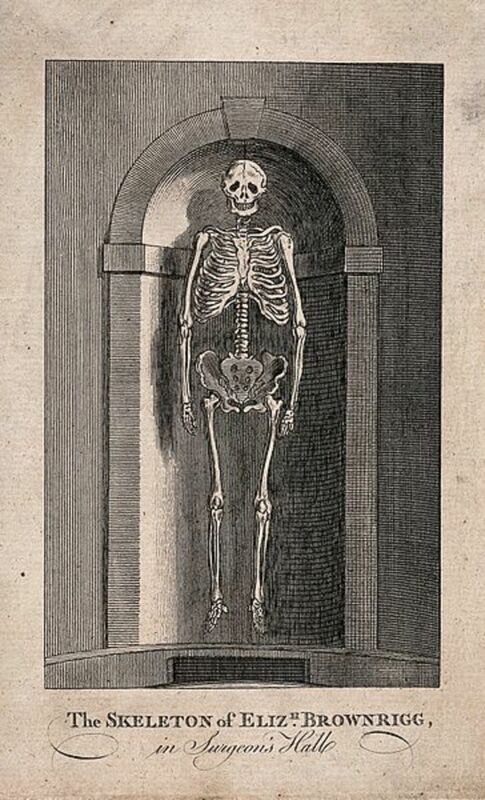 “The Skeleton Of Elizabeth Brownrigg, 18th Century Murderer.” Strange Remains, November 26, 2013. What a horrible woman! And to think that they were others like her. Surprised that they did not find her insane. Thanks for telling this story. Yes Rupert, Humanity's cruelty toward our fellowman has not come too far, has it? This is serious cause for shame, awareness and CHANGE! But, while this was the 18th century the same exploitation of vulnerable people, particularly women, goes on today. Where do our tee-shirts, sneakers, and cell phones come from? Rupert, This terribly nasty woman can easily be described as "rotten to her core." Such horrendous viciousness and for what? Because she could? Let us count the ways she can be described as a monster with no soul. Just to be the "owner" of another human being, who toiled day & night as her private slave, is a disturbing offense. To further allow them no comforts , little food & drink and beat them mercilessly, how does a human being get to this degree of pure evil? I am abhorred and sickened. My heart literally breaks when I imagine the physical pain and mental damage done to these young girls, unfortunate enough to be orphaned. Blimey, I've never heard of her before. This was really interesting to read and to learn about her crimes.